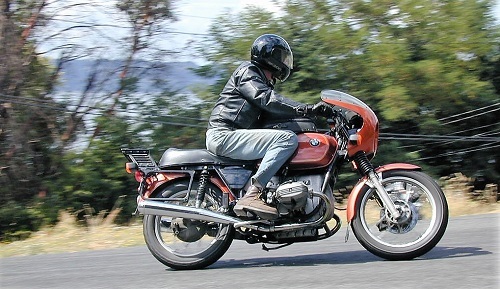 It happened to be one of those fall days where the mid-morning temperatures, accompanied by an unseasonable amount of sunshine, crested into the mid 50s and bellowed out the call for all interested motorcyclists. Vashon Island, a scant ferry ride from downtown Seattle, had flown beneath my radar for years, but within reach for an afternoon jaunt, now was the opportune time. I had heard positive things about the small island, though its size was, in fact, what had put me off from traveling there on two wheels for the better part of a decade. Its few roads and points of interest seemingly too limited to waste on long summer days, suddenly offered the perfect mid-fall (or winter) retreat as I looked to take advantage of an incredibly pleasant riding day. Photo: Vashon Island is best known to motorcyclists as a popular place for vintage motorcycles, especially during the annual IOV TT event held the Sunday before or after Labor Day each summer. For fellow riders wanting to do the same this off season, I offer the following short guide to "Vanishing on Vashon." As we become entrenched in the NW seasonal doldrums, keep the island on your mind. It just might be the moto escape you're looking for. At the Fauntleroy Ferry Terminal in West Seattle, they require motorcyclists to purchase tickets in the actual terminal, just as a foot passenger would. That means heading to the front of the line and parking your bike just next to the dumpsters before walking to the ticket counter across the way. As with all ferries in Washington, motorcyclists get priority loading, just after those on foot or bicycles. The short ferry ride is a great opportunity to review the map of Vashon and to decide if you'd like to stop for coffee or lunch first. At a casual pace, you can plan for about 2-3 hours to tour the island, taking a few stops to see highlights or snap photos. With that in mind, to make for an enjoyable afternoon, it is suggested that you either stop for coffee, tour the island, then have lunch or reverse the order, depending on your arrival time. As the ferry docks, a quick note for those riding older, carbureted bikes. Considering that you will be at the very front of the ferry, it is not unheard of for the cool sea breeze (particularly in winter) to rapidly cool your engine, requiring either a little warm-up time or choke to get the motor started. Keep this in mind as you don't want to be the rider at the head of the line, struggling to get their motorcycle running! Rolling onto the pavement, you're almost instantly transplanted to another world. The two-lane road climbs gently into a mix of green pasture and forest before quickly arriving in "downtown" Vashon. Either the Vashon Baking Company or the Vashon Island Coffee Roastery (a little further down the road) are both excellent choices for a relaxing hot beverage prior to heading out to explore the island. Continuing south on Vashon Hwy SW, hang a left at the light and follow the signs toward the Point Robinson Lighthouse at the eastern tip of Maury Island. The lighthouse, in service since 1885, has offered regular summertime tours in the past, but will have to serve as a mere point of interest for those riding in the colder months. 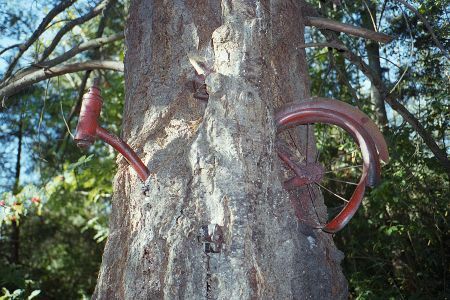 Photo: Do your homework and locate what's left of a bike that was once parked in a tree and never retrieved. Hint - It's near the corner of Vashon Hwy SW and 204th street. Returning to the motorcycle, backtrack a bit following signs for the Maury Island Marine Park, where you'll find a short .65-mile hike down to the water. Though a short hike, be warned that the return trip will be exclusively uphill. If you've happened to don your one-piece riding suit, think twice about making the trek as you're almost guaranteed to work up a sweat prior to returning to the parking area. Otherwise, head down to the waterfront and enjoy spectacular southern water views and take a moment to appreciate the contrasting serenity in comparison to the ever-expanding greater Seattle area just a ferry ride away. 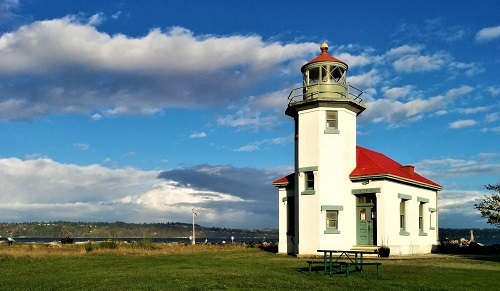 Photo: The lighthouse on Maury Island is a great place to stop and take a break. Photo: The outdoor aerobics center across from the gym along Dockton road near Portage. Returning to Vashon proper, get back on Vashon Hwy SW and head toward the southern tip where you'll find the other ferry option that will take you into Tacoma. There isn't much to see here per se, but the pristine two-lane road does make one feel as if they are riding in a Northwest-set novel of some kind with the gently curving pavement, shades of dark green and bright yellow dotting the landscape. Really, it is spectacular in its refreshing simplicity. As the road terminates into the ferry lineup, turn around and head back north making sure to veer left at the fork to get on Wax Orchard Rd. As you head north along Wax Orchard Rd, now is a good time to mention that fall leaves and strips of green moss often line the pavement. These traction hazards are present throughout Vashon but seem to be more prominent on the island's west side. While the lack of traffic and numerous twists and turns may encourage a rider to "lean into it," be aware that even on the sunniest of autumn days, the road is likely to be covered in slippery obstacles. These obstacles become more frequent as you pick up the Westside highway and reach their peak in the "S" curves just outside of Fern Cove on the Northwest side of the island. The road ends with a John L Scott Real Estate office on your right and the option to turn left toward the ferry, or right back into Vashon. In Vashon, the options for lunch are wide ranging, though it's important to note that several places may have truncated winter hours/days. 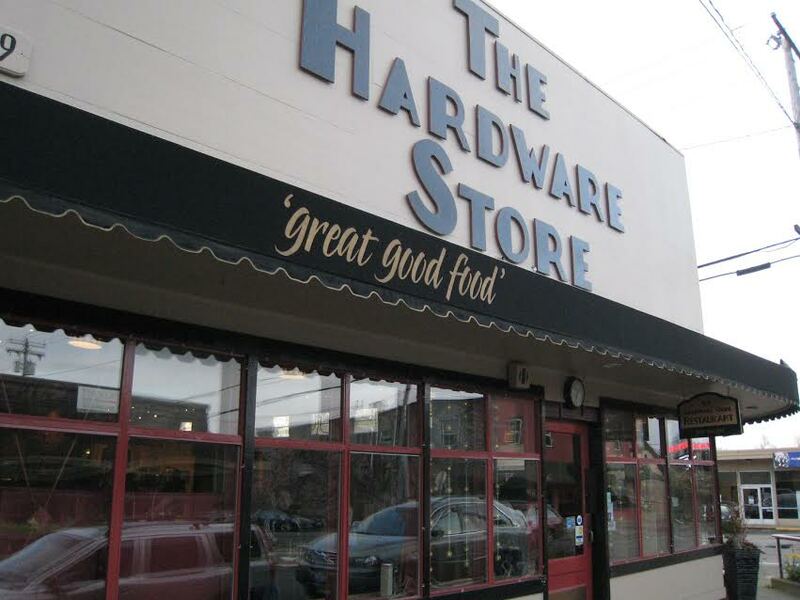 The famed Hardware Store is an island staple and one of the few places where you'll have your option of breakfast, brunch, lunch or dinner (depending on arrival time). Find a good spot and take a second to review the departing ferry schedule, being sure to leave yourself time for a quick pass of the Vashon Airport before heading back to the mainland. OK, the airport isn't much to see, but if it's riding weather, it's flying weather and there's a decent chance that you might catch a glimpse of an old airplane - a nice bonus for appreciative gear heads. Heading back to the ferry, heed the signs that direct motorcycles and bicycles around the lineup of cars and directly to the front of the line. As the boat approaches, count the waning moments. It may be the off season, but somewhere, it's always Island time.